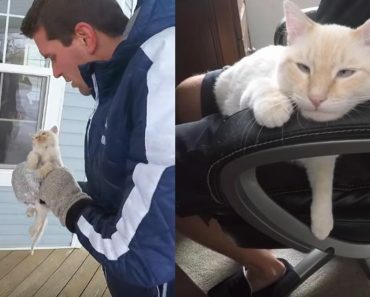 When cold weather comes, feral cats suffer and unfortunately there are just too many feral cats for all of them to find safe, warm and forever loving homes. 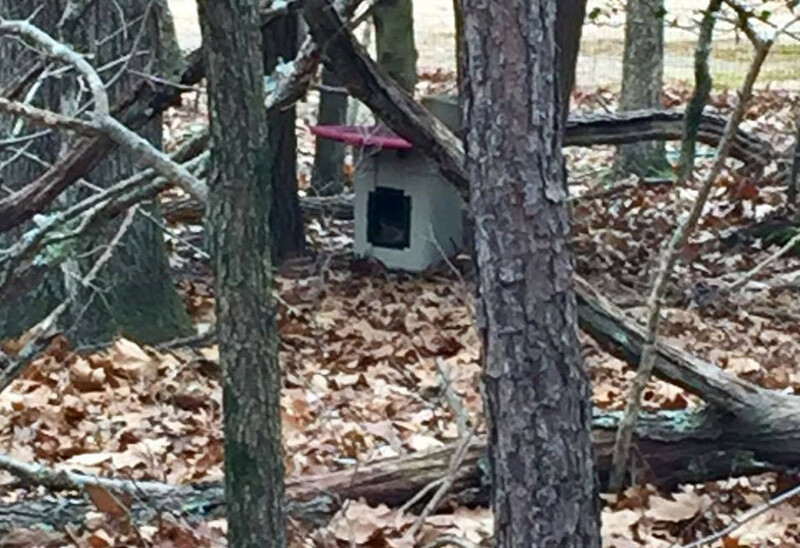 Spaying, neutering, and cat adoption are so important to solving the problem long term, but many cat lovers take the extra step of building outdoor winter shelters for the feral cats in their neighborhood. 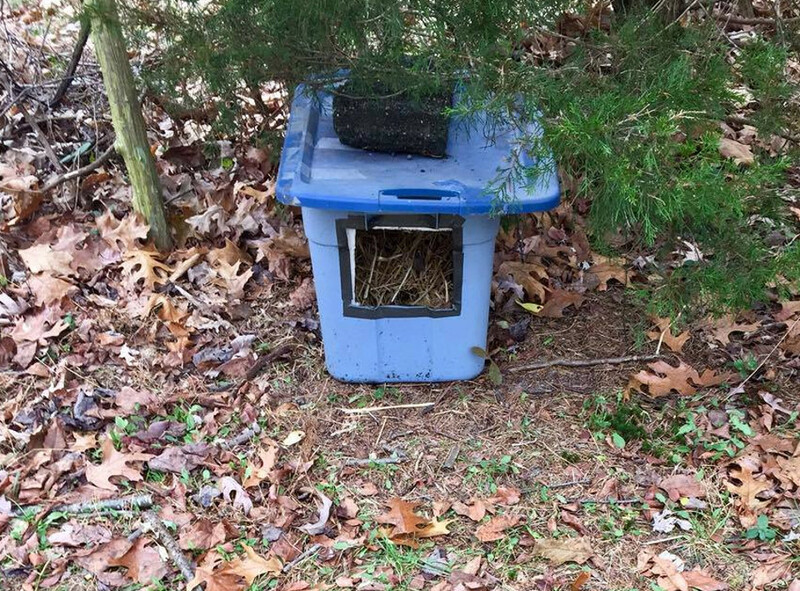 Robyn Wilson decided to take the extra step so she provides for the feral cats in her neighborhood different types of shelters based on the cats’ personalities. 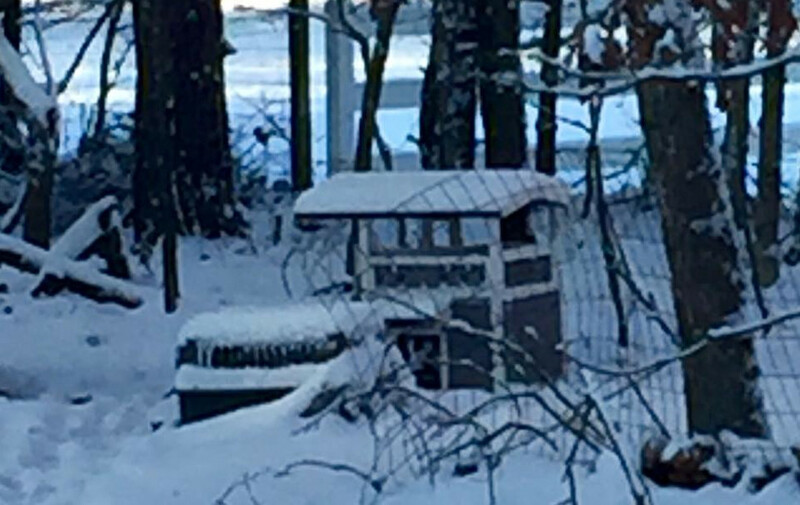 “This was one of the shelters donated by the Boy Scouts, lined with Mylar coated insulation and filled with straw.” wrote Robyn on Facebook. 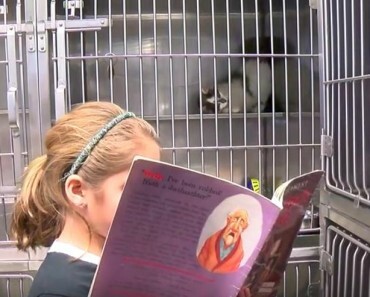 “I have different types of shelters based on the cats’ personalities. 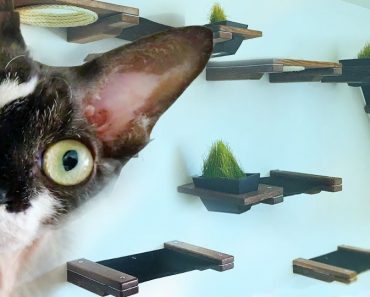 Since I feed them twice daily and they are all neutered and social, it became easy for me to gauge what would work for which cat.” Robyn told Land of Cats. “Big Orange is the same way. But I use the shed for the cats who will use it so that they are protected from the wind and elements. Charlie has the one small house, that was just donated to me recently. I was determined to get him to use something after four years of trying and we picked that house because it has an escape door. I sprinkled the inside with catnip to attract him to the heating pad, and the first cold day, he saw the benefit of using the heated house.” Robyn told Land of Cats. 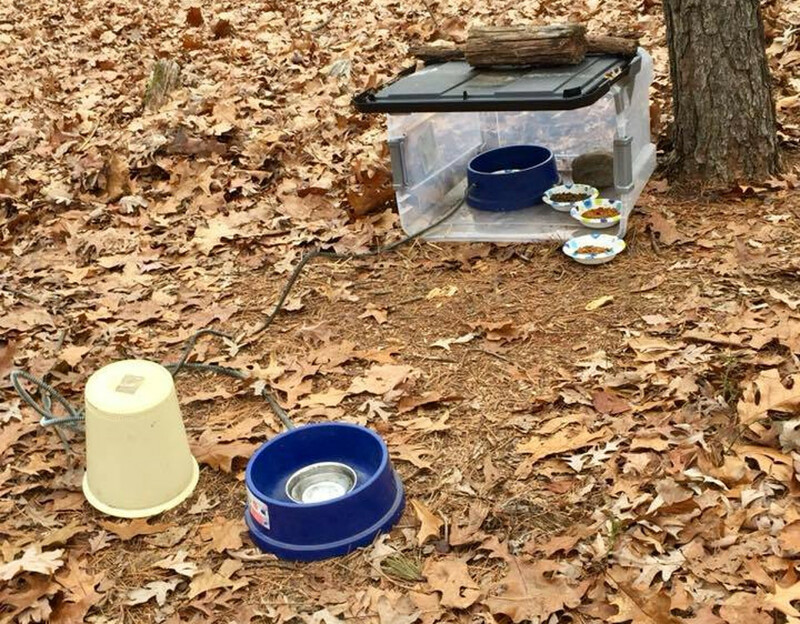 Feeding station for the feral kitties. This shelter is lined with Mylar coated insulation and filled with straw. Robyn used an old tote lid to create an awning to help keep it dry inside. For more tips about feral cats shelters please visit Pennyandthekits.com, Facebook or YouTube. 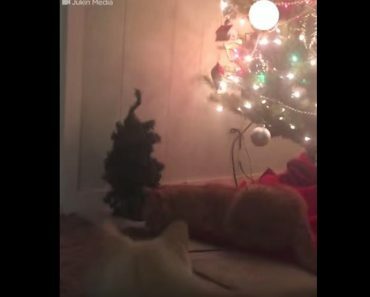 Does Your Cat Really Want A Belly Rub? 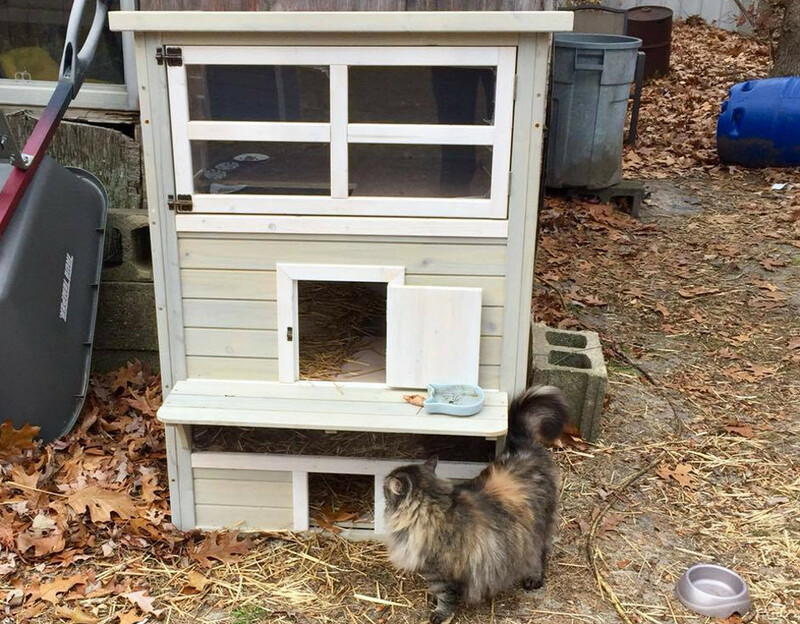 Woman Turns Her Living Room Into A $600 Indoor Custom Cat House!